Boatlift models are available to accommodate any boat or Jet Ski: Pontoon Boat, Deck Boat, Ski Boat, Fishing Boat, Jet Ski, etc. Having a boat lift not only allows you to enjoy your boating experience more but also is vital in protecting the investment you’ve made in your watercraft. Durable marine grade aluminum construction provides the best structure and corrosion resistant stainless steel cables and hardware all aide extending the component life. Bulldog Marine uses RGC® Marine Equipment for many of its lifts — RGC® has manufactured quality boat lifts, docks and other marine products for 60 years. Lifting capacities from 1250 to 10000 pounds provide an excellent range to meet most lifting height requirements. Available with hydraulic operation, providing swift and smooth travel straight up and down with no awkward cantilever action. Carpeted Guide-On's help center your watercraft during entry and exit from the lift. Carpeted full length pivoting bunks support watercraft’s hull. Adjustable extension legs for various water depths. Durable marine grade Aluminum Construction with Corrosion resistant Stainless Steel Cables and Hardware extend the life of the component. Protect Your Watercraft with The Finest Marine Lifts on the Market. Bulldog Marine is also your authorized Georgia Max VL Pro Lift dealer. MAX Boat Lifts are designed to provide superior protection for any watercraft. When left docked in the water, there is potential for wind damage, algae build up and corrosion, all of which can have devastating effects on performance, aesthetics, and value of watercraft. 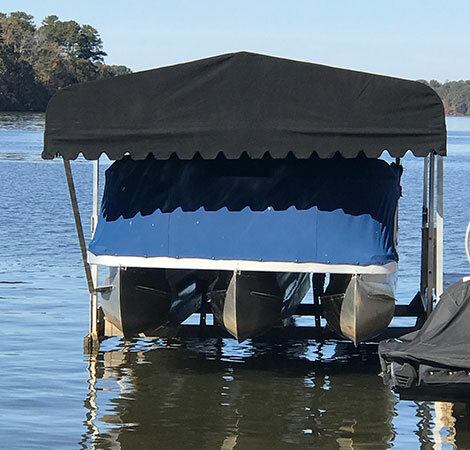 MAX Lifts are designed to make it easy to lift your watercraft from the water, protecting your investment, increasing resale value, and cutting maintenance costs. MAX designed the MAX VL Pro lifts with quality materials and value-added features that have come to be expected from MAX. These include heavy duty frame and tower extrusions, precision CNC machined components, greaseable pulleys, stainless steel leveling cables, V-Frames for easy watercraft access, and an industry leading 122” Tower clearance for today’s wider vessels. MAX offers a complete line of options to outfit the lift for any type of watercraft. 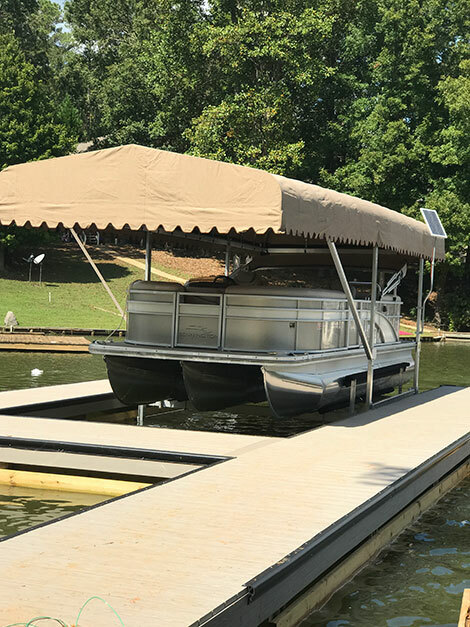 Several bunk options, guide-ons, catwalks, motor stops, electric drive motors, solar power, and the MAX Storedry Canopy system provide the ultimate watercraft protection.